We know plants are alive, and we tend carefully to their needs. We fret over their health. “Are my daylilies getting enough sun? Better water my delphinium bed; it’s looking thirsty!” But we don’t stop to consider the soil’s health, which is the foundation of a prosperous garden. But what is healthy soil? A common misconception is that soil is just dirt, a static growing medium, but actually soil teems with life. It’s an ecosystem filled with bacteria, fungi and other microbes. These organisms break down organic matter in the soil and release nutrients to plants. So healthy soil is the right mix of these components, a balanced ecosystem that has the continued capacity to sustain plants, animals and humans. Enlightened gardeners shift their thinking and understand that they are feeding the soil first, not the plants. Healthy soil yields healthy plants. Annuals complete their cycle in one season and are often grown for their dramatic flowers. 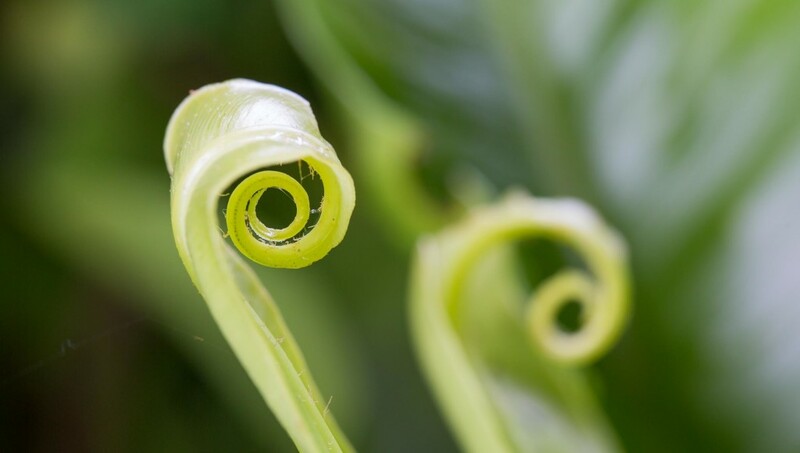 They start fresh each spring and die in fall, meaning they have to expend tremendous energy during the short season to produce stems and leaves. They need more fertilizer than perennials, which have the advantage of starting over each season from a robust root system. Feed the soil with a granular fertilizer at the beginning of the season and every ten days with a water soluble product for a spectacular display. Because they are starting with a good root infrastructure, perennials have a leg up on annuals, but fertilizer is still a must. Apply fertilizer to the soil around these versatile plants at spring’s beginning to ensure a proper exhibit. Woody plants have trunks and branches that live from season to season, a big head start. Fertilize when you first plant and again at the beginning of the growing season. A caution, don’t fertilize woody plants late in the growing season. Since the response to fertilizing is growth, new growth needs time to harden so it will survive winters. Most vegetables grow quickly, and many vegetable garden favorites are high producing, heavy feeders, meaning they quickly deplete nutrients from the soil. Feed the soil throughout the season, according to package directions. Whew. What a summer. It’s like Mother Nature has a magnifying glass pointed right at the central U.S. Here in Arkansas the growing season started about a month early this year. We were planting tomatoes in March and by the end of May it was as hot as July. When the forecast is hot and dry for the foreseeable future the best thing for the vegetable garden is consistent, even moisture and an organic, water soluble or slow release fertilizer that won’t over stimulate heat and drought stressed plants. My fertilizer of choice for edibles is Jobe’s Organics Vegetables and Tomatoes. It’s organic, but produces quick results. The granular and stakes are slow release and there is a new water soluble version too that’s perfect for our current weather. The reason Jobe’s is my choice is it’s organic and it works. I can see the difference in the health of my plants and the flavor of the vegetables they produce. This year I decided to put Jobe’s to the test to see how vegetables fed with Jobe’s matched up to those that went without. In early May I set up an experiment by planting two 6’x6′ raised beds with tomatoes and peppers. I added Jobe’s Organics Vegetables and Tomatoes granular fertilizer to the experimental bed and left the control bed unfertilized. Over the summer, I’ve continued feeding with Jobe’s Organics water soluble. It’s easy to do with a hose end feeder, but you can also mix it up in a watering can. In spite of the horrendous heat (11 days of near 100 and above 100 degree temperatures), both beds have continued producing a harvest, but the Jobe’s tomatoes and peppers are more robust and flavorful. Are you curious how your vegetable garden would perform with Jobe’s Organics Vegetables and Tomatoes? 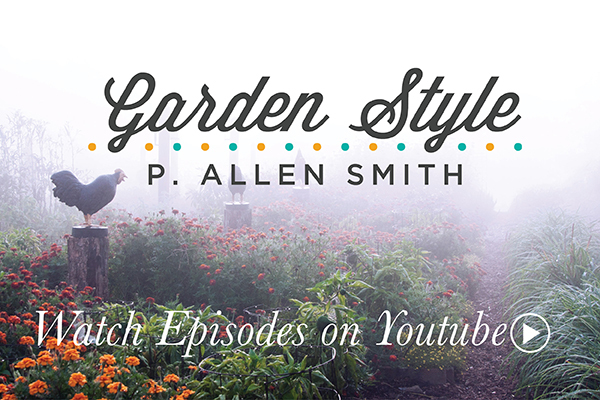 Tell me how your garden is growing in the comments below for a chance to win a bag! Congratulations to Christine! She’s the winner of the Jobe’s Organics Fertilizer. Thank you to everyone for entering. Sounds like the heat and drought aren’t keeping you guys out of the garden! Click here to find a store in your area that sells Jobe’s Organics. What do the three numbers on fertilizers relate to? If I remember correctly, one is for the roots, one for flowers, and the other for the greenery, but I forgot which is which. Most plants feed primarily on three nutrients – nitrogen (N), phosphorous (K) and potassium (P). These nutrients are represented on fertilizer packages by three numbers. Let’s say you picked up a bag of all–purpose fertilizer. The numbers might read something like 9–15–13, meaning the bag contains 9 percent nitrogen, 15 percent phosphorous and 13 percent potassium. Nitrogen is important because it helps with vigorous growth and produces lots of leafy foliage. It is the sort of thing, as you might expect, that would be ideal for grass, but not the sort of thing that you would want to put on tomatoes, because this would cause the plant to produce lots of leaves and not much fruit. The middle number is phosphorus, and it is important in the production of blooms and fruit. This is useful for feeding perennials and vegetables. The last number is potassium. This is good for strong root and stem development. My husband and I love your show. We have English boxwoods that line our sidewalk in our front yard. They have developed an unhealthy yellow hue to them. What is wrong? No one knows what it is. What can we use to correct this problem? They are still growing, but are not as hardy as they have been in past years. Over the last several years, we’ve all become even more aware of the importance of good nutrition. And what’s interesting is what goes for us, also goes for the plants in our gardens. And just like us, if our plants are experiencing a deficiency in vitamins, minerals or trace elements, they can’t perform at their best. An example of this is a boxwood that is suffering from a lack of iron which is made apparent by yellowing leaves. Even though a plant may be getting a well-balanced diet from the major food groups, if you will, like nitrogen, phosphorus and potassium, it can still suffer from a lack of some of the vital trace elements such as zinc, boron, manganese and iron. Now iron is essential for the production of chlorophyll. Of course chlorophyll is what turns a plant’s leaf green, so without plenty of available iron, you get a yellow coloration. But there are a couple of things you can do to correct the problem. You can mix a solution of liquid chelated iron and water and apply it directly to the foliage or you can take a granular form and put it at the base of the plant and it will absorb it through its roots. If you’ve diagnosed the problem correctly, you’ll probably see positive results from this treatment within three to four days. I’ve been told that I can use bananas to fertilize my roses. Is there any truth to this? Yes, indeed. Bananas are not only good for us, but they are good for plants as well. The peels are loaded with all sorts of things that plants need such as potassium, phosphorus and magnesium, all essential elements for healthy, vigorous growth. I just mix in 2 to 3 chopped up bananas with the compost and soil when planting a new rose. And if I’m not planting a rose and have excess banana peels, rather than throw them in the garbage, I just toss them into the compost pile and let them add to their richness to the mix as they decompose! I used too MUCH fertilizer on my mums, now all the leaves are turning brown. They just look burned. Is there anything I can do to save them? You have probably experienced eating something very salty and then being very thirsty for a while afterwards. Well, fertilizers are salts and when you apply too much it not only prevents the plant from absorbing water, but may actually draw water from the plant. Thus your plant gets very, very thirsty. This thirst causes burning of the roots and yellowing and scorching on the tips of the new leaves and shoots. In fact, one of the most common symptoms of high levels of salts is browning of the leaf edges. Being under this high stress also opens them up to root and foliar diseases. Once this happens, there is no easy answer. If the fertilizer was applied on the top of the soil, you can try to rake off as much as possible. Then water deeply and heavily several times to get the salts to move down and out of the soil layer that the roots are in. Once the soil salt level is back into proper perspective, the plant can begin the process of taking up water, growing new roots, and repairing the damage to its leaves. Of course, if the damage was extensive it may never recover. You will just have to wait and see. In order to prevent fertilizer burn in the future, there are several things that you can do. First try using a slow release fertilizer that slowly delivers nutrients over the course of 3 months. Reapplying every 3 months may be a little more expensive up front, but this provides for healthy plants and more even growth as the food is released slowly and consistently over a period of time and there is less likelihood of fertilizer burn from too high an amount applied and available at one time. High concentration, quick release fertilizers provide for fast, lush growth but in the wrong amounts can be deadly and dead plants are very expensive. And the soft, lush growth they cause provides an ideal climate for pests and disease causing organisms. Also, soft, lush growth is not as stable under adverse environmental conditions such as drought, wind or hardiness. Make sure you read the directions on the package of fertilizer you purchase and apply the proper amount spreading it completely and evenly in a wide area around each plant. This is especially important if you choose to use a quick release formulation. Fertilize only when the soil is moist and water in very thoroughly afterwards. If it is possible to work it into the soil without disturbing the roots too much, do so. Be sure to test your soil if you are suspicious of too much salt, especially in containers. And if you see salt building, which is a white crustiness on the soil surface or around the edge of the container, leach them heavily with multiple watering, until the water that runs out of the bottom of the container is clear. And in every case, if using granular fertilizer, don’t get it on the plants or in direct contact with the roots. Organic fertilizers and compost are less likely to cause over-fertilization as they require the soil microorganisms to provide nitrogen and other nutrients as a byproduct of their munching on these components, making them slow release fertilizers.